Huron, S.D. 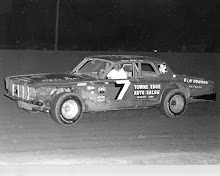 (September 5, 1966) - Don Mack, billed as “The Flying Farmer”, out of East Grand Forks, Minn., found the number 3 anything but unlucky at the International Motor Contest Association (IMCA) speedway car races at the South Dakota State Fair Monday. 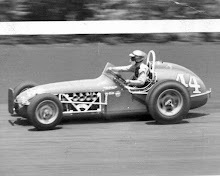 Mack, driving the car that Indianapolis star Jim Hurtubise once piloted on Midwest dirt tracks, took the lead on the 13th lap to win the 20-lap feature race over a field of 13 cars before some 8,900 fans at the State Fairgrounds oval. Monday's program saw Mack trailing Russ Laursen of Cumberland, Wis., in the first half of the feature event before coming on to take the lead in the13th trip around the track. Laursen, winner of the Northland 100 in St. Paul last week, posted the fastest time trial of the day with a clocking of 25.25 seconds. Ron Beland of St. Paul won the semi main and first heat while Laursen was the winner of the second heat race. Mack captured a special five-lap trophy dash. 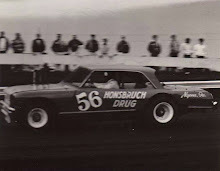 The yellow flag came out in the first heat when Al Jacobson of Minneapolis spun out on the first turn. Jacobson also spun out in the second heat but there were no injuries or collisions. Mack's winning time was 9 minutes and 10.01 seconds for the 20-lap distance in the feature. 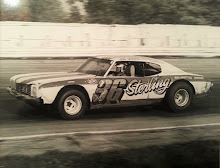 Following Laursen in the feature were Steve Schweitzberger, John Hesselgrave and Morris Buchitte, all of St. Paul, in that order. 2. 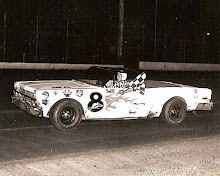 Russ Laursen, Cumberland, Wis.
3. Steve Schweitzberger, St. Paul, Minn.
4. John Hesselgrave, St. Paul, Minn.
5. Morris Buchitte, St. Paul, Minn.
6. Ron Beland, St. Paul, Minn.
7. Bucky Peterson, Fargo, N.D.
8. Al Jacobson, Minneapolis, Minn.
9. Don Guida, Moorhead, Minn.